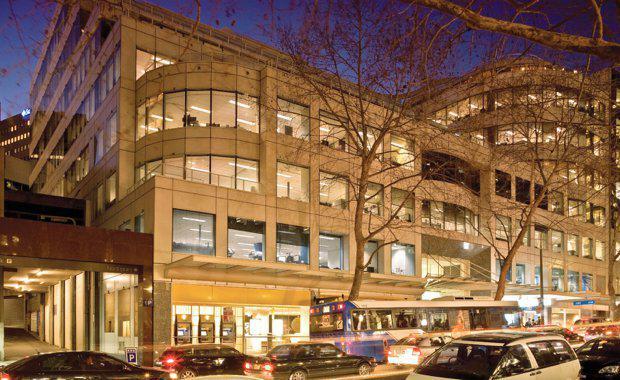 A North Sydney office asset at 116 Miller Street has been purchased by a private offshore buyer for around $134 million with a fully-leased yield of 5.25%. The property is currently the largest potential development site in North Sydney at 2,304 square metres in size and is located directly opposite the proposed Victoria Cross Metro Station. The sale was negotiated by Knight Frank’s Tyler Talbot, Dominic Ong, Angus Klem and Colliers International Australia’s Bevan Kenny and Chris Veitch who acted for Property Bank Australia, Security Capital Corporation and RG Property. Mr Talbot said 116 Miller Street was well bid for by a number of local and offshore investors. The investors were attracted to Miller Street's location, tenancy profile, rental growth upside and future development potential in a strategic location opposite a major new Metro Station. 116 Miller Street is currently occupied by blue-chip tenants including National Australia Bank, Commonwealth Bank, ANZ, Salmat, APP Corporation, and the Australian Catholic University. The building is 87.5% leased, with a 3.42-year weighted average lease expiry as at 1 May, 2017 and high retention credentials via long-standing tenants. “With the Sydney CBD so tightly-held with limited quality stock available, the North Shore offers investors an opportunity to take a foothold in the growth of Sydney,” Mr Talbot said. Strategically located in the new central core of the transforming North Sydney CBD, and directly opposite the new Victoria Cross metro station, the property has dual street frontages and is also right next door to the new Northpoint retail development and hotel. 116 Miller Street is a recently-refurbished, A-grade asset with retail frontage along Miller Street. The property features large, easily sub-divisible floor plates with excellent natural light. CI Australia’s Bevan Kenny said North Sydney assets are being bid for very strongly.